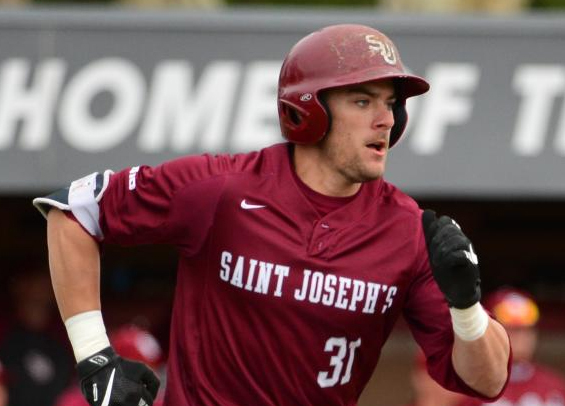 The Philadelphia Baseball Review is thrilled to announce the following 12 collegian standouts as members of our 2018 NCAA All-Philadelphia Team. McConnon led all Philadelphia D1 catchers with a .288 batting average while playing spectacular behind the plate, surrendering just six passed balls while throwing out 34 percent of potential base stealers. He also led all Philly catchers with a .351 on-base percentage. Not much more can be said about Faso, the Philadelphia Baseball Review Offensive Player of the Year. He led the city in runs created (39.5), was second in RBIs (36), and fourth in on-base percentage (.391). He also carried a 16-game hitting streak throughout a month of the season and committed just three errors in 359 chances at first. Adams collected 12 multi-hit games for the Quakers and his 50 hits on the season were second most for the club. He also swiped nine bases. His 13 doubles ranked third of all city hitters. His 23.47 runs created was more than eight runs higher than the next closest second baseman (Peyton Sorrels of La Salle, 15.34). Constantini collected 67 hits on the season, the second most in Philadelphia behind only Faso. He also scored 30 runs and split time between shortstop and the bullpen, posting a 1.54 ERA over his final 11 2/3 innings of work. Led all Philadelphia hitters with seven home runs on the season and 43 RBIs. Pieced together 13 multi-hit games while starting all 42 games for the Quakers. His 31.11 runs created ranked fourth among all Philadelphia hitters and his .508 slugging percentage was tops in the city. An outstanding first year from the Texas native, Malinowski led the Quakers with a .347 batting average and was named Ivy League Rookie of the Year. His .389 on-base percentage was second on the Quakers, and he stole four bases. His 28.04 runs created was second on the team behind only McGeagh. The Collegeville native led the Wildcats with 43 runs scored and finished tied for the team lead with 53 hits. He also stole 13 bases and committed just five errors on the season while notching five assists. One of the best pure hitters in Philadelphia, Concannon led the Hawks in batting average (.317), on-base percentage (.393), slugging percentage (.483), and runs created (34.17). He also hit five home runs and collected 29 RBIs all while playing outstanding defense. Toohers led all Philadelphia hitters with a .403 on-base percentage and hit five home runs to go with 31 RBIs. His 33.86 runs created was third best in Philadelphia behind only Faso and Concannon. His .837 OPS was second on the Quakers to only McGeagh. A legitimate power threat, the Devon Prep product hit five homers while driving in 28 runs. He also committed just two errors on the season playing first base. Brennan was named Philadelphia Baseball Review's College Pitcher of the Year. He led the city in ERA (2.94), strikeouts (84), and WHIP (0.91). Opponents hit just .231 off him this season. Bean was outstanding out of the bullpen for the Quakers, surrendering just four runs over 26 1/3 innings en route to posting the top ERA for a reliever in Philadelphia (1.37). His 0.87 WHIP was also best in the city to go along with 33 strikeouts.